RJ Bartlett Engineering Ltd has a thorough knowledge of fire safety requirements in building codes, fire codes, and their referenced standards. Involvement in committees dedicated to the development of these codes and standards provide staff with an understanding of the origin and intent of these provisions. RJ Bartlett Engineering Ltd can assist in the assessment and selection of building designs. Building code and fire code provisions, as well as additional requirements of authorities having jurisdiction, all have an impact on any design. Staff can explain these requirements and indicate the many options pertinent to each design. Both new and existing buildings can provide a unique challenge to any designer in meeting code requirements. Where these requirements would normally impose impractical requirements on a design or could not feasibly be incorporated into a design, alternative solutions can be developed. An alternative solution is an approach to meeting code requirements which provides a level of life safety that meets the intent of the code and is acceptable to the authority having jurisdiction. Working with owners and architects during concept design stages providing advice on all avenues available for complying with code requirements. Evaluating existing buildings and developing options for fire safety is accomplished through such means as performance-based analysis to satisfy prescriptive code requirements. Other means include application of numeric evaluation tools such as the Canadian Hospital Fire Safety Evaluation System. Preparing “code summaries” where applicable requirements from codes are documented in a brief report, which is used by the designers and authorities throughout the project. 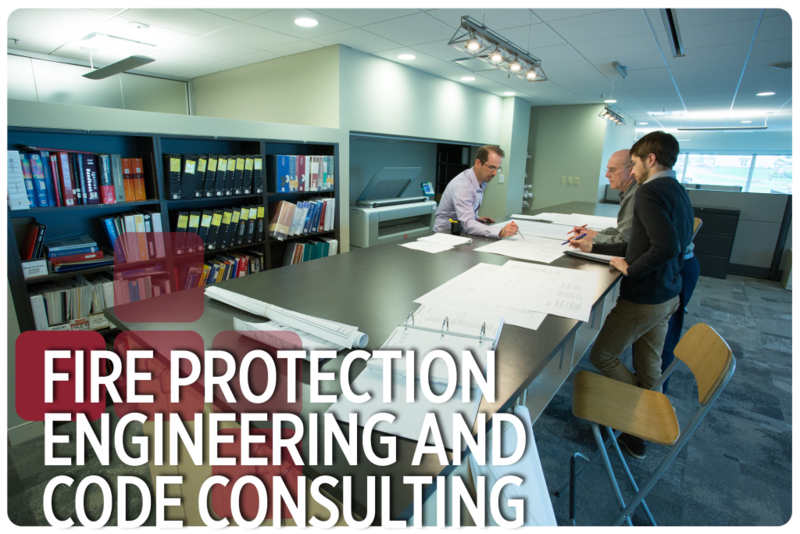 Negotiating approvals for building features that do not satisfy the prescriptive code requirements but satisfy the intent of the code requirements. This allows for flexible, practical and innovative building features. Providing fire safety advice for owners, designers, and contractors.